Russ Mason has extensive experience in the construction field dating back to his childhood. Russ's father started building homes in Arizona in 1964. Russ worked for his father's construction company for 8 years prior to graduating from Arizona State University with a business degree. 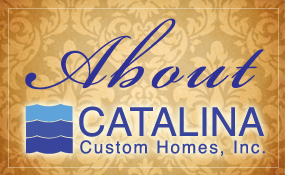 He and his wife, Julie, started Catalina Custom Homes, Inc. in 1984. Julie and Russ have been married for over 30 years. 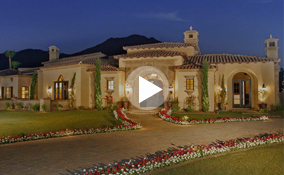 They created Catalina Custom Homes, Inc. by starting small and sacrificing. They built one house at a time, lived in it until it sold, then moved again. This was a long process that took patience, but earned both Russ and Julie experience and knowledge. Julie taught school in the early years to help support the family, then eventually started helping design and decorate the houses that Russ built. Lori Eller has been involved with Catalina Custom Homes for over 20 years.Her specialty is customer relations, although she does work with the sub contractors, billing, etc. When you call our office you will speak with Lori personally, or even Russ. Very rarely will you get a recorded message. We strive for a personal relationship with all of our clients. That is what sets us apart from the rest. Paul French has been associated with Catalina Custom Homes since 1990. He owns Aqua Fria Plumbing and was our plumbing sub-contractor for many years. As the business expanded, Russ realized that he needed someone knowledgeable in the construction field to help him manage his sites. Paul French was the perfect choice. He oversees all of our projects, and helps Russ manage the sub-contractors.